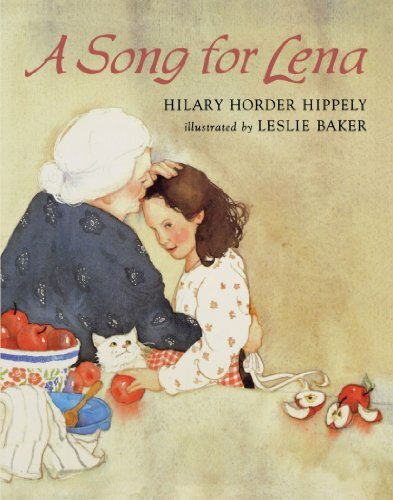 As Lena helps her grandmother make apple strudel, the woman tells her a story about her childhood in Hungary. One day, she and a friend are approached by a wandering beggar. They race to the house, frightened, but Mother decides that the man should have some of their just-made strudel. He repays their kindness by playing sweet, sad music on his violin. Each year he returns, has his piece of strudel, and plays, until finally one season the harvest comes, but the beggar does not. Father says that "Perhaps our friend isn't hungry anymore." He tells the children to listen closely, and they hear the wanderer's music in the sounds of the country night. A recipe for strudel is included.